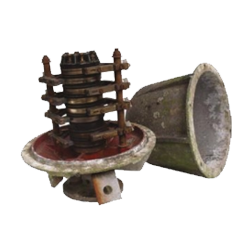 Built to last the rigours of an outdoor environment..."Fit and forget" BGB have been designing and manufacturing slip ring collector columns for Half-bridge rotary scrapers and Clarifiers for many years. 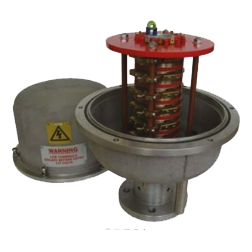 BGB were one of the first slip ring manufacturers to design and produce a slip ring collector column compliant to WIMES directive 2.01 section 6.12.2 for rotating half bridge scrapers. 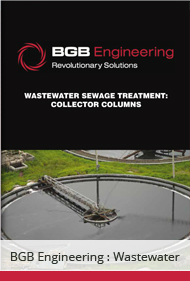 BGB is now a leading supplier in the development of collector column solutions for this unique industry and work with many of the major wastewater sewage treatment specialist such as: MEPS (MWH & EPS), Ham Baker Group (A&J Water Treatment), Jacopa (Ovivo), Anglian Water, United Utilities and many more. BGB have SPB units currently in service that are still operational after more than 25 years! 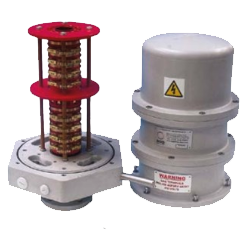 The BGB range of SPB (Signal/Power/ Barrel) collector columns are robust, service friendly, enclosed slip rings, designed especially for the tough working environment of a scraper bridge. A fully wired terminal box and incremental encoder. 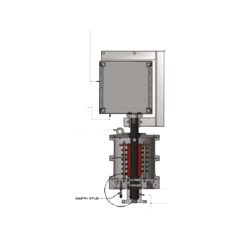 The terminal box minimises installation time and need for exterior electricians on site. A combined SPB unit with Fibre Optic Rotary Joint (FORJ), this allows large data transfer to be passed through the slip ring/FORJ assembly.